Well, the Tashkent exchange group paid a whirlwind visit and have gone on to New York. Many, many thanks to Paula Rose and all those who supported her in this endeavour. Zia Shamsy leaves in a few days with his group going to Georgia and Azerbaijan for a month ... we wish them all well and safe travels. Isabella Iverson, our Membership Chair held a new member meeting at Brud Kisner's house on Saturday, April 18th. Several new members attended and learned about all the opportunities this organisation has to offer. A big thank you to Isabella and Brud. It was a really enjoyable get together. The May meeting will be on May, 17th (a week later than usual because of Mother's Day) at a Greek restaurant and a Mexican Restaurant. The June meeting will be at a Thai restaurant and the presenters will be Jim Kerr and a special guest from Myanmar, Tin Aung Moe, whom Jim met when travelling there. As you may have read in the email I sent out, Mary Latham researched and purchased bags with the club name on them which can be used for the gift bags for incoming exchanges and are for sale for the price of $4.00, should anyone be interested in buying one. They can be packed compactly and would make great home host gifts. Ten ambassadors from Tashkent, Uzbekistan were hosted by FFDallas April 25 - May 1. This was one of our most challenging exchanges. Few of the ambassadors understood English. Much use was made of electronic translators on phones and dictionaries. Also, the cultures of Uzbekistan and of the US are very different. Despite these challenges and with the great help of so many in FF Dallas, the exchange progressed. Several hosts reported learning much about Islam and about the Uzbek culture which is very ancient and varied. They experienced ours as well. The highlight was a Uzbek cultural evening. The Ambassadors cooked a typical Uzbek meal for the home hosts. This was complete with Uzbek popular music. THANKS to all who helped out with this exchange! * Home hosts - Mary & Lee Latham, Mary Williams, Patty Niemeyer, Sandy & Roger Kaiser, Julia & Art Cooper and Phyllis Speck. All of these folks went over and above to make this exchange work. * Committee chairs - Felicity Sentance (welcome party), Mary Williams (booklets and flyers), Isabella Iverson (day hosts), Patty Niemeyer (small group dinners), edward perez (farewell party), Ray Enstam (treasurer) and Mary Latham (welcome bags). * Small group dinner hosts - Leyla Ackgerman, LouAnn & Galen King, Mary & Lee Latham, Jackie & Michael Wald and Sharri McIntosh. * Day hosts - Ray Enstam, Sue Haarala, Cathy Ignatin, Zia Shamsy , Dale Klosterman and Sharri McIntosh. I hope I haven't left anyone out!! Mexican - good selection of Tex-Mex, margaritas, etc. Entrees from $8.79 to $13.99 plus drink and tip. Wine/beer available. Please contact Sharri McIntosh by Friday, May 15 to reserve the restaurant you prefer (or both!) - mcintosh.sharri@gmail.com. We need to give each restaurant a head count. Program: Presentation by special guest Tin Aung Moe from Myanmar. Moe was the guide that the Australian club used when Jim Kerr traveled with them to Myanmar. Photos will be from both of them. Food/Cost: $15.00 Thai buffet - Includes buffet items, drink and dessert of fruit. FF Dallas club will pay gratuity. $20 June 8th or after - or at the door. Reserve: To Cathy Ignatin with a check made to Friendship Force Dallas – cignatin@hotmail.com. Deadline: To be received by June 7th. Mary Williams gave a presentation on the outbound exchange to Columbia Cascade (Portland) and Olympia clubs which took place in July 2014. 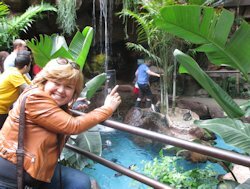 Twenty people enjoyed the beautiful scenery and culture of the Northwest led by Patty Niemeyer, ED. Those who participated in the exchange relived that beautiful scenery and excellent hosting. 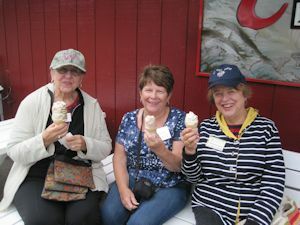 Georgia Sigalos, Patty Neimeyer and Marguerite Morriss enjoyed a cone along the Columbia River. Our outbound exchange for 2015 to Tbilisi, Georgia and Baku, Azerbaijan is now filled and has a waiting list. We will be awaiting their return and some interesting reports. For more information contact Zia Shamsy at zia_shamsy@yahoo.com. Dates are May 10 - June 8. We received an exchange from Tashkent, Uzbekistan on April 25 to May 1. Paula Rose was the Exchange Director, and we thank her for taking on the exchange, which was complicated by so many changes of the dates and hosting arrangements. Thanks, Paula! 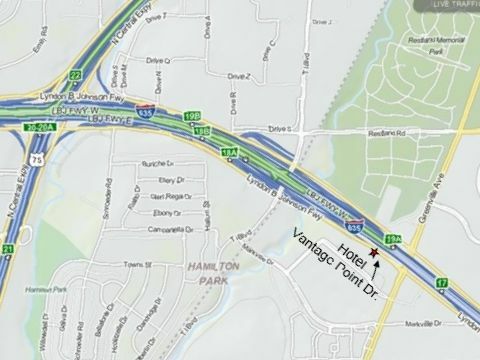 Our remaining inbound will be from Vancouver, British Columbia, Canada in October of 2015 and is looking good. Since the International Conference of Friendship Force International will be in Vancouver at the end of August 2015, and many of us will be attending that, this inbound is of special significance. The Exchange Director for this exchange is Pat Andeweg. If you would like to volunteer to work on the committee for this exchange or simply know more about it, please contact Pat at pja72@sbcglobal.net. We now have our exchanges for 2016. We have an inbound from the Nor Peru club (located in Trujillo, Peru) and an outbound to Santiago, Chile. The inbound from Nor Peru will be Feb 1 to 7. Santiago is scheduled for April 20-27, 2016 + 7-10 days optional extension. The Board approved inviting up to three people from the new Santiago, Panama club to attend the Nor Peru exchange to Dallas. We would waive their fee to us and request that FFD waive their $100.00 fee so that these new club members can experience an exchange. Felicity Sentance has been appointed the Exchange Director for the inbound from Nor Peru - February 1-7, 2016. For questions or to volunteer please contact Felicity at fsentance@gmail.com. Ray Enstam has been appointed Exchange Director for the outbound to Santiago, Chile (April dates TBA). For more information please contact him at enstam@sbcglobal.net. We are also working on some additional exchanges for 2016 or 2017 that are being planned by two of our members with contacts in other countries. Michael Wald is working on creating an inbound and an outbound with Panama. He has already led two outbounds to Panama and has many contacts there. These exchanges involve working the people in Panama to form a new club there. In addition, Haiya Naftali has contacts in Israel and is working to create both an inbound and an outbound exchange with Israel. Israel already has a Friendship Force club and the members of that club are very interested in working out the exchanges with Dallas. Ray and Haiya would welcome any help or answer any questions about the plans. It is too early to have any dates, so stay tuned! We could have an active year or two. At the Regional Conference, Joy Huntington from Houston talked about the popularity of themed exchanges and the possibility of Texas clubs hosting one. She has agreed to be the overall ED for a global “Texas Exchange” no earlier than 2017. The exchange would introduce Texas to those wishing to experience the unique character of several Texas cities. Patty Niemeyer volunteered to work with Joy and other clubs to explore the possibility of such an exchange in the future. The Georgetown, TX club will have its “official beginning” May 30, 2015. They have requested an inbound or outbound with FFD in the fall. 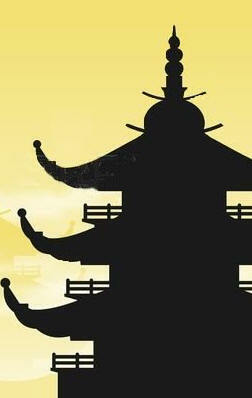 We are extending an invitation to the new club in Georgetown TX for a weekend mini-inbound exchange Nov 13-15. Paula Rose was approved to be the ED. Please contact Paula if you would like a short-term hosting opportunity. A planned exchange from Columbia-Cascade Club is a return visit from a club we visited last year. We do know that they are interested in going to the Texas State Fair, so the exchange will probably occur in early October of 2016. Contact Patty Niemeyer, Domestic Exchange Coordinator, if you are interested in being the Exchange Director. Also interested in coming to Dallas is the Birmingham, AL club. Please suggest to Patty any other U.S. clubs who might be interested in an mutual exchange with the Dallas club. Contact her at: peanutpatti1@verizon.net. Remember that you are welcome to join other clubs on their exchanges if there is room. Please contact clubs well in advance, as an exchange may cancel if the Exchange Director doesn’t know about your interest. June 10 - 16 or June 16 - 22, 2015. Friendship Force is again joining friends in Montego Bay, Jamaica for a fulfilling experience of culture, community service and fun. We will return to the One Love Farm, a 7-acre organic garden that serves the youth of Jamaica, where we built a seedling nursery last year. This year, the One Love learning foundation farm is in need of an outdoor facility to assemble their production of produce for delivery. We will work together to put in sinks, plumbing, and tables for prep, as well as an outdoor stove for cooking demonstrations for the students. Live like a local by waking up each morning to the smell of fresh Jamaican coffee – the perfect way to prepare for a day of work and lots of fun. Get to know the local people that make up the “One Love” team. Enjoy farm to table dinners with dishes provided by local friends of the region. Be treated to a performance of traditional music and dance by the “One Love Tribe Drummers and Dancers. Accommodations are at the beautiful and luxurious Hammerstein Highland House, former home of lyricist Oscar Hammerstein II. Enjoy stunning views of the tropical hills that overlook Montego Bay. Visit the local Straw Market or raft down the Martha Brae River. Experience Rastafarian customs. Mary Mwambay, FFI Staff is currently accepting applications. She can be reached at 1-404-965-4349 or mary@thefriendshipforce.org. Cost is $1960 for the week and includes six nights, transportation throughout the week, all meals, welcome and farewell parties, gratuities for One Love staff and driver, and cost of materials for the project. See where some clubs are going on the Other Clubs page. 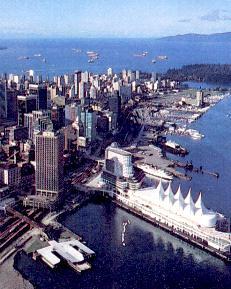 The 2015 World Conference to be held in Vancouver, Canada August 28-31, 2015, has registered 400 applicants in the first month and is full. FFI is negotiating with the hotel for more rooms. The 2016 International Conference will be held in Marrakech, Morocco - October 3 - 5, 2016, at the Kenzi Farah Hotel. (Plan to arrive on October 2 in order to fully participate.) We will have more information about this conference in the future, as well as pre and post trips. Friendship Force members from nine clubs met in Houston for our almost-annual get together for exchange of ideas, inspiration and fun. Attending from Dallas were our president, Felicity Sentance, Paula Rose and edward perez, Isabella Iverson and Gerry Arens, Mary and Lee Latham, Pat Andeweg, Dale Klosterman, Sharri McIntosh, Patty Neimeyer and Mary Williams. FFI Respresentative Ana Smulski spoke at general sessions on what's new at FFI and on progess on the strategic plan adopted recently. Cinda Clark from Northern Colorado Club and Field Rep for that region presented a workshop for Exchange Directors. Dallas member edward perez presented a session on themed exchanges on a panel with Geneva Hancock (OK) and Judith Mead (NM). Isabella Iverson and Gerry Arens presented their slides from Morocco in anticipation of 2016 International Conference in Marrakech. The conference was held at the beautiful South Shore Harbour resort hotel on Clear Lake, south of Houston, with a dinner cruise on a beautiful evening as the final banquet. Astronaut and shuttle pilot Jim Weatherbee was the guest speaker and showed interesting photos and stories about the space program. Of special interest was the session on special exchanges. Geneva Hancock explained how the Oklahoma, Kansas and Nebraska clubs developed and implemented a themed program "Taming America’s Great Plains," with clubs each featuring specialties of their region: - OK – Cowboys and Indians - KS - Home on the Range - Lincoln – Neb territory, new land, new people - Omaha – Iron horse on the Plains This popular exchange had 30 people in attendance with a waiting list. These clubs were recognized as Clubs of the Year for this program. They will repeat it. Judith Mead from Albuquerque spoke on plans in progress for an exchange in 2017 - "Ancestral Puebloan and Contemporary Pueblo Societies in New Mexico." It will be about two weeks long with visits to museums, petroglyphs and nearby pueblos in Albuquerque and visits to Chaco Canyon, Santa Fe, Bandelier and several other locations to learn about this unique native American culture then and now. Other special exchanges will celebrate the Wright Brothers in Dayton, the South Louisiana culture sponsored by Baton Rouge club, Quilters to Houston. Next year the SW Conference will be hosted by the Austin club. More notes from the conference are available from Mary Williams on request. An optional tour of the Johnson Space Center was offered on Sunday morning with visits to the Mission Control room and Saturn rocket as well as the interesting Visitor Center. NOTE: After hearing Astronaut Jim Wetherbee at our SW Conference dinner cruise, Ruby Reviere, a Houston members shared this with video with us; it is wonderful history - The Story of the first "Earthrise" photo. https://www.youtube.com/embed/dE-vOscpiNc. Check it out! Our condolences to Georgia Sigalos, whose husband died last week. Contact the president or webmaster to update addresses and phone numbers. On Saturday April 18th, a new members and potential new members luncheon was held at the home of Brud Kisner. edward perez showed Friendship Force videos and shared information about the different types of exchanges available. Paula Rose acknowledged that one of our newest members, Phyllis Speck, has agreed to host a lady from Tashkent. Brud Kisner explained the importance of getting involved. Zia Shamsy spoke about being an Exchange Director (ED). Felicity and Isabella shared more ways of participating. There was more Friendship Force sharing and explaining over a great lunch. Thank you Brud for your kind hospitality. It was mentioned in the March-April newsletter that Mary Latham came up with the idea of forming a task force that would “advertise” Dallas to other clubs who might be wondering why they would want to have an exchange with us. What is special about Dallas? Why would other Friendship Force clubs want to come to Dallas? If you have any ideas on how to promote Dallas to other clubs we would like to hear from you. So far, we have asked several FF Dallas members to serve on a team to explore possibilities: Mary Latham, Michael Wald and Robin Yaklin. If you would like to be part of this team or have some ideas, contact Mary Latham – mary_m_latham@yahoo.com or Michael Wald - mwald999@gmail.com. Send your news to the Newsletter Editor daleklost@gmail.com. Let Cathy Ignatin know who needs a card or a call. If you would like to be a shuttle driver, send an email to edward perez (erperez@acm.org) and he'll add you to the list. Take this opportunity to help out your club while meeting and learning about your fellow club members. You are not obligated to handle every request, but please do what you can. We need more drivers. Shiva Shrestha, President of FF Nepal, is volunteering in Kathmandu and surrounding areas. Most of you are aware of the devastating earthquake in Nepal which struck a little over a week ago, killing thousands and injuring many more. In fact, with so many wounded and homeless, this terrible situation may worsen in the days to come. Although the media attention will lessen, the people’s need for aid and support will be great for a long time to come. You’ll remember that Friendship Force International does have a club in Nepal, based in Kathmandu. This club is led by Shiva Shrestha who has informed us that he, his family, and his members are all unharmed. As a person who has always been committed to humanitarian causes, this crisis has only heightened Shiva’s resolve to help the people of his country who are most affected by the still unfolding disaster. The following is provided by Shiva Shrestha of FF Nepal. We on the staff and board of Friendship Force International have felt compelled at this point to help the people of Nepal recover from nature’s impact, and we know many of you are feeling the same way. Therefore, we are urging our members if they feel they can and want to, to donate to the relief efforts in Nepal. While there are many reputable organizations currently working on the ground, some of the most useful may be larger international charities such as UNHCR (the United Nations Refugee Agency; WFP (World Food Program); CARE; and the International Committee of the Red Cross (ICRC), just to name a few. But there are hundreds of groups doing good work; and you can find a list and also what they are doing by going to Charity Navigator at http://www.charitynavigator.org/. Shiva himself is currently involved with a local organization in Nepal, which is also taking donations. However, please understand that FFI can neither evaluate nor endorse any particular relief organization. Should you choose to donate, please choose the organization which you feel will make the best use of your gift. Please also keep in mind that Friendship Force International is legally prohibited from financially sponsoring relief aid efforts. While donations to FFI are always welcome and appreciated, those donations cannot meet the immediate needs of the current situation in Nepal. We hope that one day soon we will be able to arrange a humanitarian exchange to Nepal, but that will come later. While Friendship Force International is not technically a humanitarian organization, we are a group of people who have heart and who care about the world’s people. Our efforts to help go back, in fact, to the founders of our organization, who coined the phrase ‘Friendship in Action.’ You can see more about our current policy on the issue of disasters here. We look forward to the day when we are once again able to bring an exchange to Nepal to volunteer directly with the people there.